The vision of JUniversal came from some guys at Nokia who possess considerable expertise both in Java and in building cross-platform apps. They built this tool to provide an elegant way to translate source code and make it useful across multiple platforms. JUniversal offers you the freedom to write your shared code in Java and then translate it to C# (available now) or to C++/Objective C++ (coming soon). You can also combine JUniversal with Google’s j2objc translator to translate Java to Objective-C for iOS. 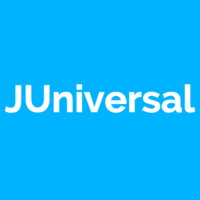 Why do developers choose JUniversal? Why do you like JUniversal? What are the cons of using JUniversal? How much does JUniversal cost? What tools integrate with JUniversal? 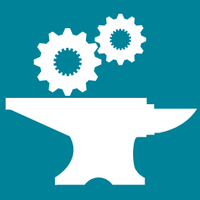 What are some alternatives to Framework7, Trigger.io, and JUniversal? This is how Google Inbox and Google Spreadsheets works. See the slides from my recently produced GWT Create Session (http://t.co/ZvoaHxCoZT). J2ObjC slide deck here (https://docs.google.com/presentation/d/1mW_Plm5jAygELf7qjVK7...) Videos of the conference will be online soon. Prior to that, some 20% Googlers also produced the PlayN library (https://github.com/threerings/playn) This was taken over by Michael Bayne who added an iOS backend by Bytecode -> IKVM -> Mono conversion. I beleive j2objc and RoboVM backends exist now as well. The major benefit of the j2objc approach is the avoidance of GC in favor of ARC, the conversion of message-sends into C-method calls when possible, and integration with existing iOS toolchain. When we started, it seemed like an iffy idea, but after developing a product delivered to millions of users on a high volume site (gmail) that has 70% code sharing, and being able to simultaneously develop, test, and deploy across the platforms reasonably efficiently, a lot of skeptics have become converts to the concept.